Good news for fans of movie tie in games here. 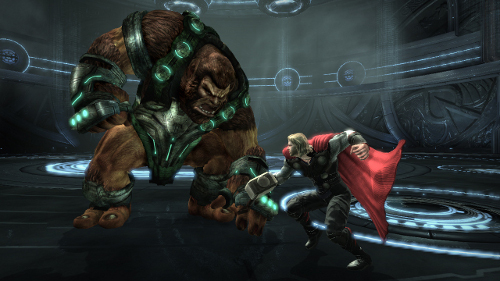 The upcoming Sega published Thor game based on the upcoming movie, based on the long running comic series now has a release date of May 3rd 2011. So only a month and a bit to go, if you’re desperate to play a superhero related game made by Sega. Personally I don’t have high hopes for this. Maybe it could pull a Spiderman 2 and be a good movie game but that’s unlikely. We’ll have to wait till May 3rd at least to see if it can break the streak. Releasing the same day as Duke Nukem Forever? Gee, which one will I choose?